Well now that whiskylive is over, and those who passed the weekend in a malty haze might start to think about what next to drink… Why these 2 in particular? Besides the fact that they start with ‘Glen-‘, go well in sherry and are both speysiders… wait. No. Glendronach is an eastern Highland malt, why is it so similar stylistically? Enough with the leading questions.. Yes they are rather similar in style but these are 2 of the very last distilleries to direct fire their stills. Meaning that instead of steam pots or pans in the still, flame applied to the bottom of those beautiful round stills heats the wash. In Glendronach’s case this is true till 2005 when all the stills were converted to steam, and in Glenfarclas this is still true today. Admittedly Glenfiddich is also still direct firing their stills but I submit it would not a good comparison due to stylistic differences. Nose: Big smack of sherry, rather huge sherry-first nose. Full on chocolate and cocoa powder, full ripe juicy red and purple fruit, cherries raisins you name it. Big and full and sweet. Exactly what a sherryhead is looking for. The spirit? Bracing and firm too. The spirit must be able to frame the wine influence after all, but it’s far drowned out. The spirit is the canvas here – this one is all about sherry. Remarkably smooth with little burn despite the strength. And blueberry juice. So… very fresh and juicy. Palate: Yes all there. Big, sweet and very expected. Is that the PX then? Ok some dryness does show, slight tannins. But now comes menthol and vicks rub and more dry woodiness. Touch of medicine even. Not that the sweetness went away, its still there those chewy sweet raisins especially. Finish: Long, tends towards dryness and with some eucalyptus heat. Very enjoyable, very easy and very much not about the whisky. This is all sherry. Which is full marks if that’s what you want. But I personally like more spirit driven complexity. Nose: Ok equally huge, but with a punchy massy thickness. A solid core. Yes the sherry is here – drier and more aromatic than sweet like in the Glendronach and also lots of cocoa powder. But this is about both the spirit AND the sherry. So we have that fibrous vegetal punch, something fermented something sourly tangy, mixed in with leather and more of that sherry. Very robust distillate. 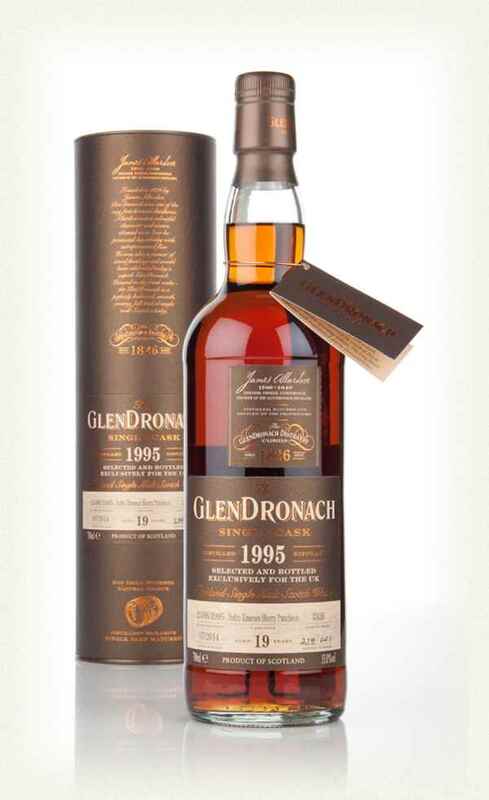 Not that the Glendronach isn’t complex but this has more complex depth even though it is not as easy drinking. Palate: Woot. Powerful. Impossible at 60%. With some water: Again still punchy with very obvious distillate – sour green fruit, roasted malt, vinegar tang. Lashings of nutmeg, wood spices and really quite complex. Even the sherry quietens a bit, and agrees to work with the spirit. Finish: Very long, and quite fresh and sweet again. Like the sherry is begging for the last say. Monstrous at 60%. but not a sherry monster maybe. Still, have to prefer the whisky here as a melding of spirit and wine, even though the Glendronach is more drinkable in style. 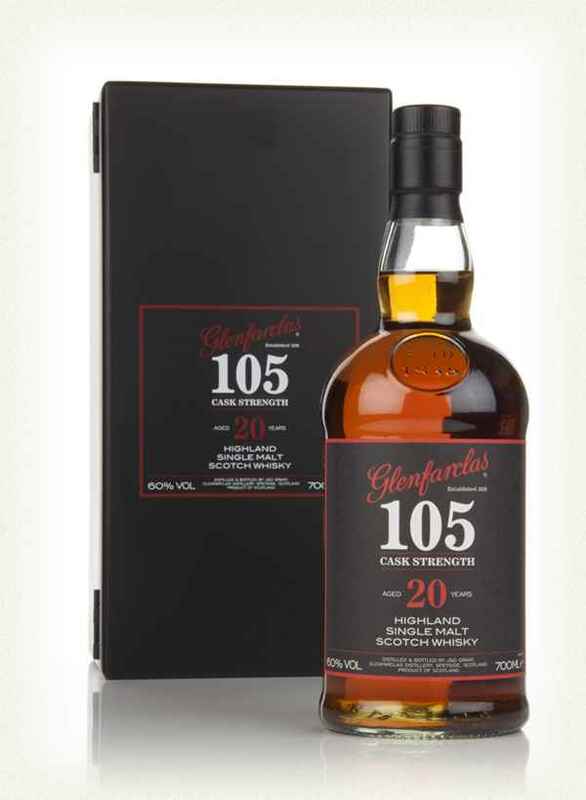 This entry was posted on December 2, 2015 by Whiskyrific in Glendronach, Glenfarclas and tagged Glendronach, Glenfarclas.